Having enjoyed so many outings with the Capital Corvette Club over the last few years, I decided to try and organize one myself and since 2017 marks Canada's 150th birthday, I wanted to come up with something historic. Having learned about the pretty much forgotten Patriot War of 1838 and discovering the major part of its activity actually took place only an hour from home, I planned a day trip based on this idea. First, here is the historical context. 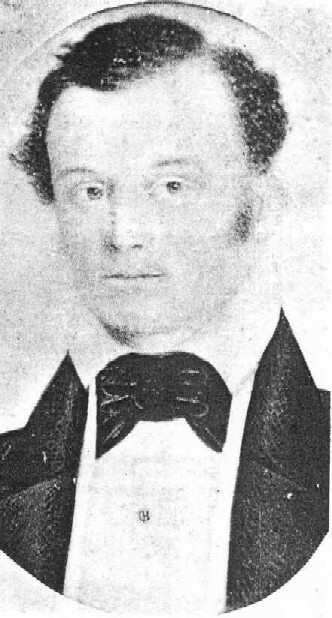 Following the unsuccessful rebellions in Upper and Lower Canada in 1837, exiled Canadians attracted a great deal of sympathy from American citizens, who, under the influence of firebrands such as William Lyon McKenzie and their own memories of the War of 1812 and the American War of Independence, were determined to help the oppressed Canadians overthrow the yoke of British tyranny. They were willing to supply money and weapons and formed a secret society, the Hunters' Lodge, which is believe to have had as many as 17,000 members in the Northern United States. This compares to the contemporary size of the US standing army of around 5,000. Grandiose plans were developed to launch invasions of Canada in 1838 in Lower Canada (now Quebec) and Upper Canada at Windsor. Several small-scale attempts were made across the Niagara River as well but an invasion from Eastern New York was begun without the authorization of the central Hunters' Lodge authorities. On November 11, 1838, some 400 Hunters crossed the St. Lawrence on a ship, planning to seize Fort Wellington but word had gotten out and the British military was prepared for this landing, so instead the invaders changed their plans. More than 200 returned to Ogdensburg, ostensibly to arrange for more reinforcements and the shipping of arms (which never came to pass), while another group of around 150 landed in Newport, around 3 kms east of Prescott, on November 12, and seized a stone windmill and surrounding buildings. A Finnish adventurer, Nils von Shoultz, who had served in the Swedish Army but had also fought Russian troops in support of Polish revolutionaries and had then gone on to serve in the French Foreign Legion (although a lot of this is not supported by substantial evidence), was elected leader as the person with the most military experience. He had abandoned his wife and two children in Finland and made off to the Syracuse, New York, area where he had an interest in salt extraction there. The Hunters (aka Patriots) were well-positioned and managed to hold off local militia and British regulars from Prescott in a battle that saw 50-80 (accounts vary) casualities. When the British returned on November 16 with field artillery, von Shoultz, whose men had received no reinforcement or additional arms and whose escape route across the river was now cut off by the presence of British and American gunboats, saw the hopelessness of his situation and surrendered. Although he received legal advice from a young Kingston lawyer, the then-unknown John A. MacDonald, he felt responsible for the disaster and admitted to all charges, the only prisoner to do so. He was executed at Fort Henry on December 8; he was 31 years old. 10 other Hunter leaders were executed and 60 were transported to Australia. Many of these were pardoned years later and managed to return to the United States in some cases. Mr. MacDonald, of course, became Sir John A. MacDonald and the first Prime Minister of a united Canada in 1867. Unfortunately I had forgotten about the Civic Holiday long weekend and was worried that the number of people coming from the club would be very small but in fact we had a perfectly sized group of 17. As we departed on Highway 416, there was heavy rain for a few minutes but then it subsided and we had excellent weather for the rest of the day. I had previously reconnoitered the route and we had a pleasant drive through the countryside via Oxford Mills and Bishop's Mills, neither of which have mills any longer, and after an hour found ourselves in Prescott and at Fort Wellington. There are many little towns in the region that once boasted grist mills, sawmills, or woolen mills due to the many little rivers. These have pretty much vanished now but it is nice that markers still indicate where they would have been, such as the one here in Oxford Mills at the bridge near where the mill once was. While constructed in a strategic position across from the Gallop Rapids on the St. Lawrence River (rapids that vanished with construction of the Seaway in the 1950s) during the War of 1812, Fort Wellington was never attacked by enemy troops and was allowed to deteriorate following the end of the war in 1814. Concerned with civil disturbances in the province in 1837, the British rebuilt the fort and it served as a rallying point for the local militia units. British regulars were not in the area but were located westwards in Kingston. The strengthened Fort Wellington was completed in 1839. As first-time tour leader I was unaware that everyone backs their car in so that when it is time to depart chaos is reduced! As you can see here I managed to rearrange myself and back my car in (on the right) without hitting anyone. Reversing a Corvette can be a bit challenging at times! After parking our cars in the big parking lot (and only a few in our group missed the turn! ), we went over to the attractive Visitors' Centre, which provides excellent interpretation of the events in the fort's history, as well as the chance to dress up as a soldier. And Parks Canada allows free admittance to all our of national parks this year of celebration. Entering the fort proper, there are a number of summer students dressed in period costume explaining its history. They are enthusiastic and friendly and it was interesting to hear their comments. We enjoyed seeing a demonstration of a rifle that would have been used in the period. It was noted that the only requirement to join the British Army was having two functioning teeth, allowing you to tear off the paper around the cartridge before loading the weapon. Life in the fort was a microcosm of the Empire. The officers (there were only two--the Captain, who lived in Prescott itself with his family, and Lieutenant Sharpe, who had his own accommodations in separate building from the main blockhouse, including a kitchen and dining room/office. The next structure was the latrine building, which was segregated into different areas for a) men and boys; b) ladies, and c) officers. The latrine: officers' entrance on left! Stone blockhouse, housing soldiers' quarters, magazine, Quartermaster's office and storage--and a well! The fort boasts an interesting construction I had never seen before, a "caponiere," which a circular room beyond the palisade accessed through a tunnel. It was meant to be used to keep the ditch surrounding the fort clear of the enemy. Inside the blockhouse there are the rooms that would be necessary for operation of this military establishment on the first floor: Quartermaster's Office; powder magazine; storage; well access, and so forth. There is a museum arrangement in this area and one can see Nils von Schoultz's shoulder epaulette, torn off his uniform by angry militiamen who would have lynched him until prevented from doing so by British regulars. The town of Newport had more or less been destroyed during the engagement and there had been significant casualties that the militia wanted to avenge. The second floor of the blockhouse is given over to the married quarters of the common soldiers who, we were told, we consider the posting at Fort Wellington a kind of quiet, pre-retirement one. The fort was used until 1863 by British regulars but then used by Canadian militia during the next incursion across the border, the Fenian Raids of 1866. Although Fort Wellington might have been considered comfortable by the standards of the time, the soldiers' quarters were pretty public and very limited in size considering a whole family would occupy them. The third floor of the blockhouse would have housed single men. After our enjoyable and interesting tour, it was time to get the Corvettes out on the road again and a few minutes later we were parked at the Red George Pub in Prescott, which is named after a hero of the War of 1812 and is located in a fine stone building from the 1830s. The owner had gone to the trouble of roping off a special parking area for us, which was much appreciated. We enjoyed a very good lunch, with good food and lots of socializing. Continuing with our Patriot War outing, our next stop was a few kilometers down the road as we went to the Battle of the Windmill National Historic Site. This is, of course, the actual windmill that was at the centre of the conflict in 1838. It is an impressive stone structure that has had many lives, including that of a lighthouse. It is maintained by a local civic group, the Friends of the Windmill, and contains a small shop with items related to events there. Our day out concluded across the street from the windmill as we enjoyed a tour, and sampling, at the King's Lock Craft Distillery, which specializes in organic spirits. One of the owners gave us an excellent overview of what is involved in small-scale distilling, including the complicated regulatory environment. A number of spirits are on offer--including the von Schoultz vodka!--and we were able to try some very good rye and a nice light rum (called "Moonshine" as there are specific Ontario rules about what can be called "rum). We were shocked to learn that Canadian rye whisky does not actually need to contain any rye but only needs to look, smell and taste like rye. King's Lock uses 100% organic rye grown in the area, whereas big distillers use cheap corn to fool you! There is also a small Windmill Brewery in the same building, which offers its 1838 Pilsener, as well as live music. Although I know a fair amount about brewing, I found the story of the distilling process very enlightening. Some of us clearly enjoyed it even more!